This Moutarde a L'Ancienne is a traditional mustard; a grained mustard with White Wine and Whole Mustard Seeds packed in a stone jug. 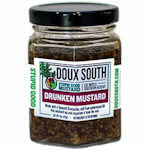 This is not a very strong flavored mustard, but has a lot of 'bouquet' and can be used in basically all dishes that call for a Dijon mustard, like sauces, dressings, meat marinates. 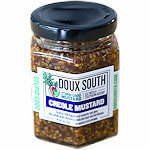 The mustard is packed in a stone jug or crock that can be re-used. 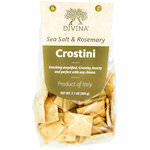 Ingredients: Water, mustard seeds, vinegar, salt.